Customize your report to your audience. 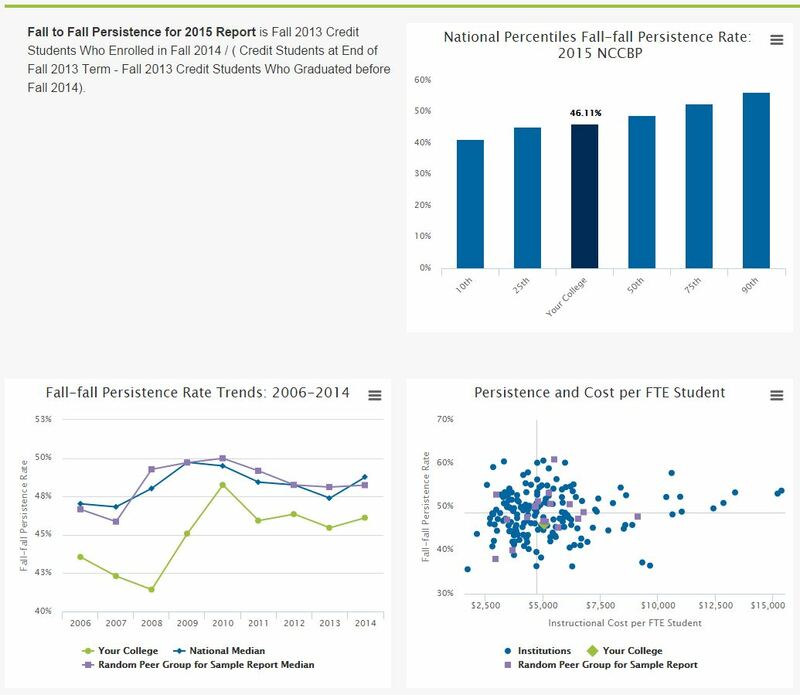 Custom reports provide the ability to tailor the benchmarks and analysis to evaluate your college's performance—and then help you communicate that clearly and quickly to your president and other stakeholders. In these reports, college members can included bar charts of national results, trend charts, scatter plots and include text boxes to give insight into the data. Additionally, college's can add peer groups to the charts to illustrate the difference between looking at the national database and looking at a college's peers.